St John’s Parish Church of Scotland in Hamilton is co-hosting a free event on Wednesday 6 February as part of HeartEdge – a growing ecumenical network of churches exploring the challenges, obstacles and ideas which affect ministry. HeartEdge was originally set up by St Martin-in-the-Fields church in London, supporting churches to blend their mission around four key areas: congregation, compassion, culture and commerce. The name HeartEdge reflects the group’s purpose – for those working at the heart of commerce, culture and community, with those at the margins and on the edge. They support their members in finding their stories, sharing resources and connecting effectively with others developing their church and community. Through joining the network, you and your church will be able to make use of connections, ideas, support, mentors, projects and resources which can help support you in your mission work. 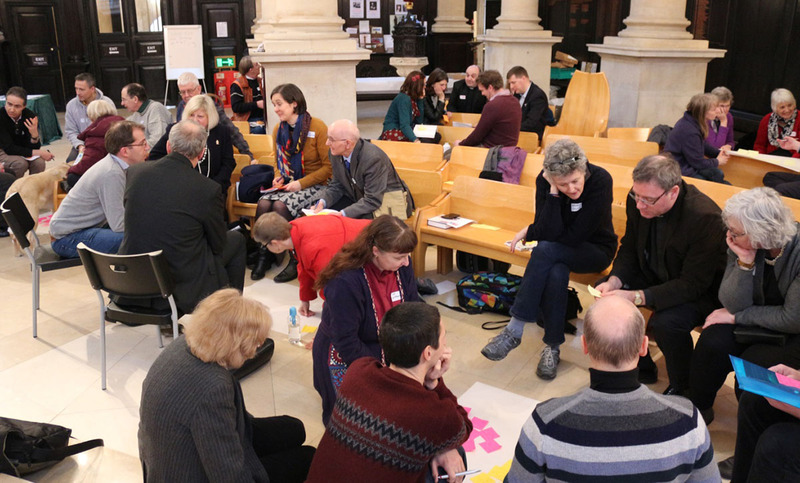 The programme for the event in Hamilton on Wednesday 6 February, jointly developed by the congregations of St John’s and St Martins-in-the-Fields, will feature theology, ideas, solutions and support, aimed at “catalysing Kingdom Communities”. Bring people together, and we think – with some effective facilitating – all kinds of progress happens. This is about ideas, encouragement, resources and solutions – stuff you give and lots you take away. This is HeartEdge! “I got involved with HeartEdge because it was a network I very naturally developed an interest in as parish minister of a church on Path of Renewal. “HeartEdge is focussed on being missional, so the connection to those of us on Path of Renewal (also considering how to be more missional in focus) is strong. “Each of the four key areas (congregation, compassion, culture and commerce) will be demonstrated and discussed on the day in Hamilton with participants sharing their stories of initiatives and ideas that others can hopefully be inspired by and learn from. “It is a day for everyone to share stories and questions, beginning with a keynote address from Rev Dr Sam Wells. Among those contributing will be: The Very Rev Ian Barcroft, Rev Ross Blackman, Rev Liz Crumlish, Revd Jonathan Evens, Rev Dr Doug Gay, Kenneth Johnston, The Most Revd Mark Strange, Andy Turner and Rev Dr George Whyte. The event will also feature music from Rev Dr Robin Hill with ‘Sing with the Swing Band’. ‘At the Heart. On the edge’ at St John’s Parish Church of Scotland in Hamilton on Wednesday 6 February from 10am-3:30pm. It is free to attend, but you are asked to please register your attendance on the Eventbrite page. Find out more about HeartEdge on their website. You can also listen to the keynote speech given by Rev Dr Sam Wells during the launch of HeartEdge on SoundCloud here.